Why Would I Need Home Security Cameras? 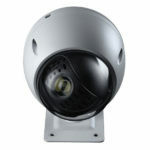 We’ve shared in a separate article how to choose a security camera for your home. But why should you have security cameras at home? Home security cameras can let you do amazing things both inside and outside of your home. In addition to being able to protect your home from burglars, security cameras are good for knowing lots of information about your own home. Unless you’re constantly home, it’s probably a good idea to have some way to know what’s going on outside of your home. This is especially true if you are going on vacation, and need a way to be able to look at your home remotely. This is a question we get from time to time. It depends on your situation, but almost always, our answer is going to be yes. 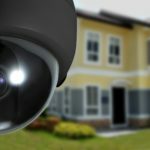 Home security cameras that connect to the internet in your home, and then let you control them from anywhere in the world, are kind of a standard installation as part of home security. And as a result, we come to think of “home security” as missing something, unless it includes cameras. PTZ (Pan/Tilt/Zoom) Cameras now offer some truly remarkable features (as you can see from the image below) in terms of quality and function. And we would recommend that if any company offers you a home security system that doesn’t at least consider cameras as part of the package, you might want to look at another company to provide your home security system. 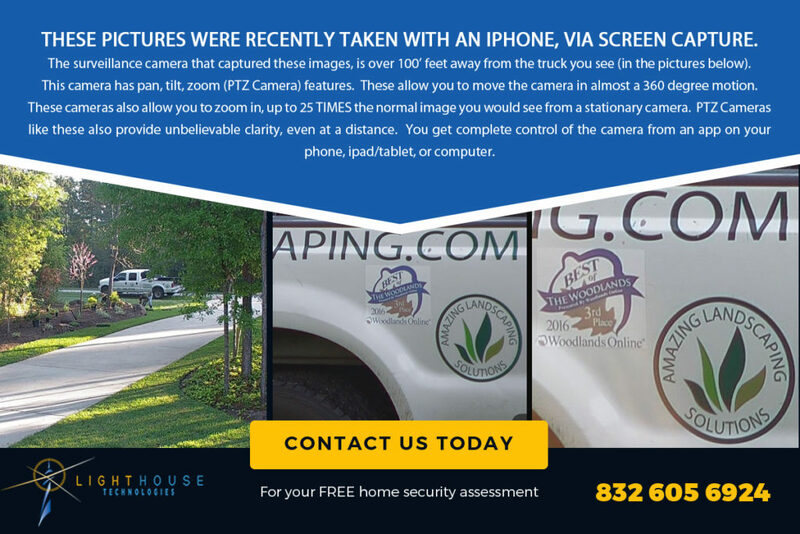 Because the most break-ins happen during the summer months, we’ve been talking about this topic quite a bit recently here at Lighthouse Technologies. Homeowners in The Woodlands and Conroe have been calling us looking for options to protect their home throughout the summer months. Please contact us to customize a home security solution (possibly including home security cameras and video surveillance) that’s right for you. What about the funny security camera videos? Without further ado, the funny security cameras compilation, as promised.